Dublin has something to offer everyone that visits, but if you’re partial to a thirst-quenching tour of pub and pub culture, then the Irish capital has something very special in store for you indeed. If you’re looking for a place to stay, one of the top recommendations is to visit the Travelodge Dublin hotels page. Davy Byrnes is famous for its literary link to James Joyce. Leopold Bloom, in Ulysses, orders a gorgonzola sandwich and a glass of burgundy at this famous pub. “He raised his eyes and met the stare of a bilious clock. Two. Pub clock five minutes fast. Time going on. Hands moving. Two. Not yet.” The pub’s clock stays 5-minutes fast now, in tribute. Good, affordable food should attract those not interested Joyce’s legacy. 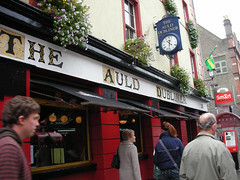 Located in the very heart of Temple Bar, the Auld Dubliner is for the more vocal drinkers – those in it for a sing along. Traditional music is played upstairs while you munch down a traditional Irish staple: Coddle – a traditional Dublin sausage, bacon and potato stew. This pub prides itself on atmosphere, so for a raucous night of singing, dancing and drinking, there’s no better spot. The name of this pub suggests it all; if you’re getting ready for a night at the Long Hall, you better be in it for the long haul. One of the few pubs in central Dublin to hold on to its regular customers, this pub boasts a taste of old Ireland. 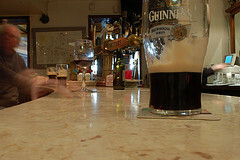 Storytellers nurse a pint of Guinness at the bar while the friendly barmen will talk you through every drink behind it. Any pub with The Fun Lovin’ Criminal’s Huey as an investor is bound to be fun. And Dice Bar doesn’t disappoint. This is where New York meets Dublin, with its red and black décor, fun lovin’ DJ’s and distinctive beers – many of which are sourced from micro brewery’s. Like Dice bar, Octagon Bar enjoys the input of rock stars; this time it’s Bonno and The Edge, and they don’t just invest, they own the place. This is a trendy bar with no less than eight sides. What else did you expect? Well, a trendy bar with genuinely friendly staff is fairly unexpected, but it has that in abundance. 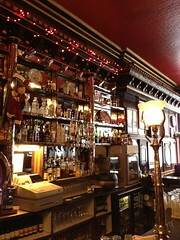 Hope you like this article about Dublin Pubs. Enjoy the night life in Dublin.